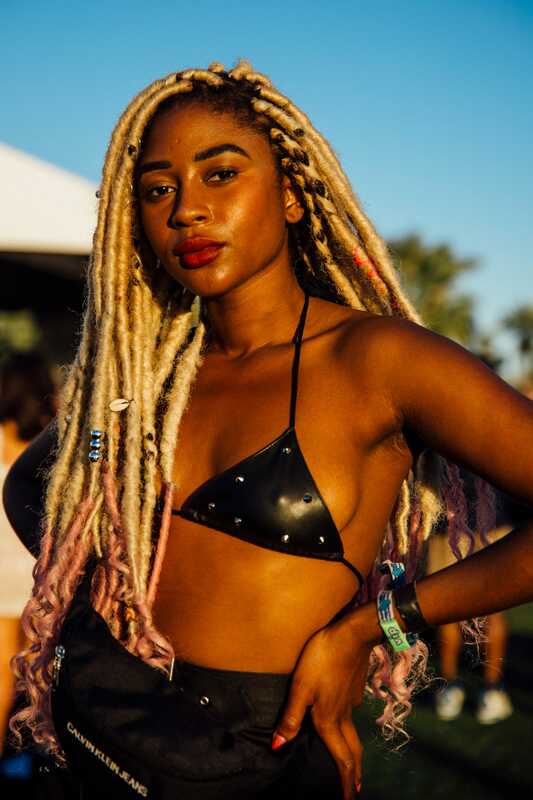 Coachella is a lot of things: hot as hell, fun AF, and full of interesting people from all over the world. It's also super colorful. 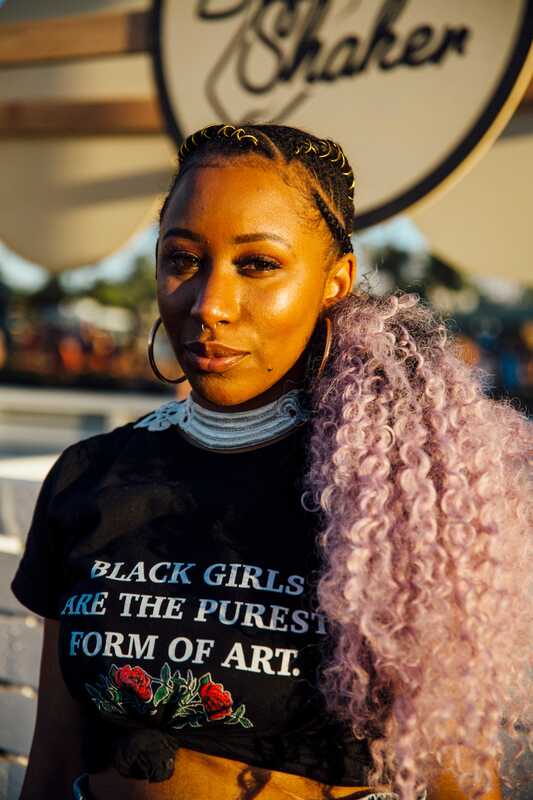 This year, color was heavily present in various parts of the festival, from the multi-tiered Spectra art installation to the food station setups. 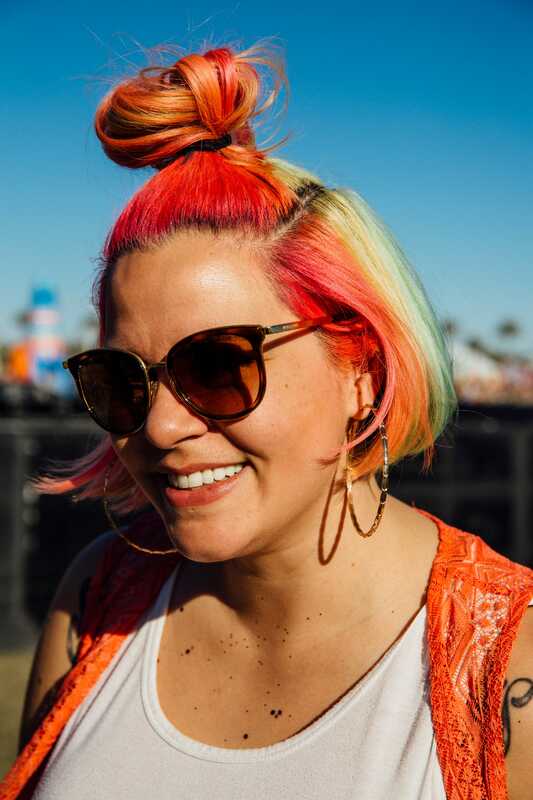 Of course, the colorful theme went beyond the festival infrastructure. 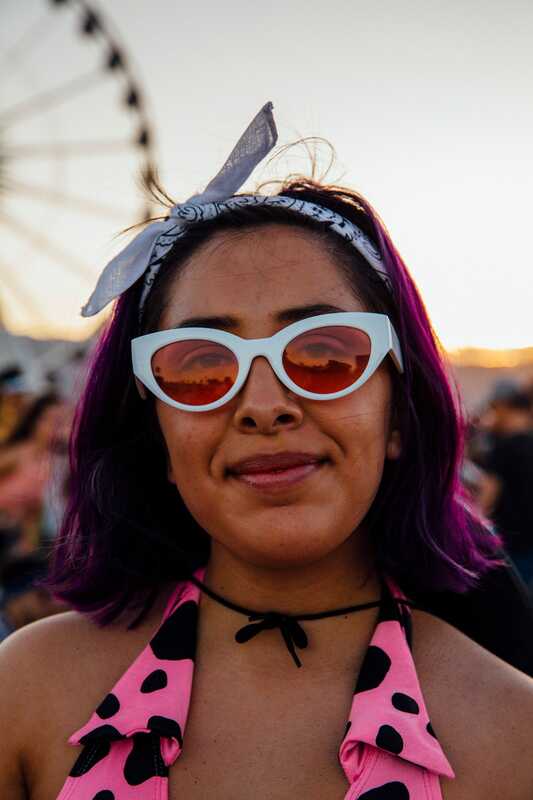 Festival-goers painted the Indio, California grounds in rainbow shades with their neon outfits and iridescent face shimmer. 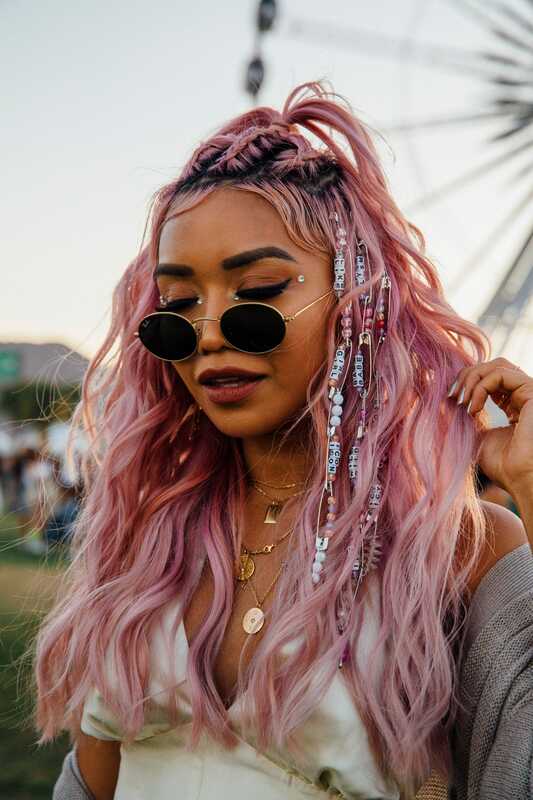 Pastel hair color also dominated the heads of Coachella party people, making it one of the biggest beauty trends at this year's event. 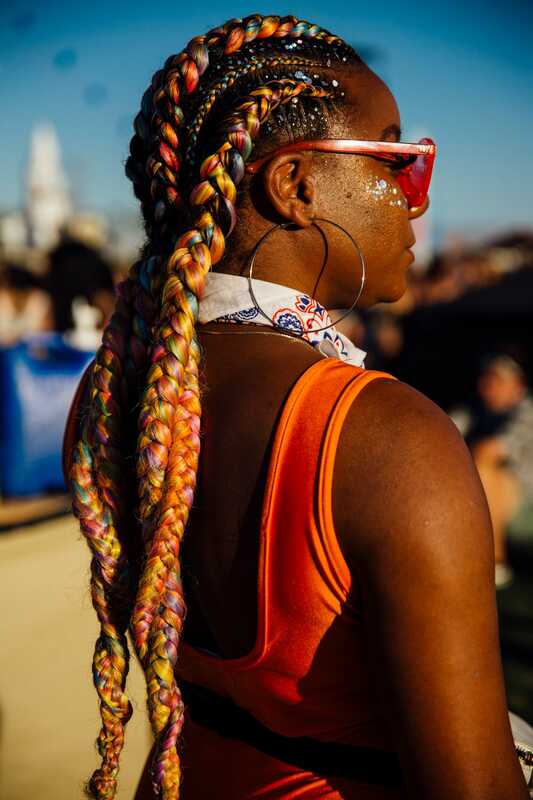 Mint greens, muted lavenders, and cotton-candy pinks were present in various looks from bejeweled braids, buzzcuts, box braids, and faux locs. 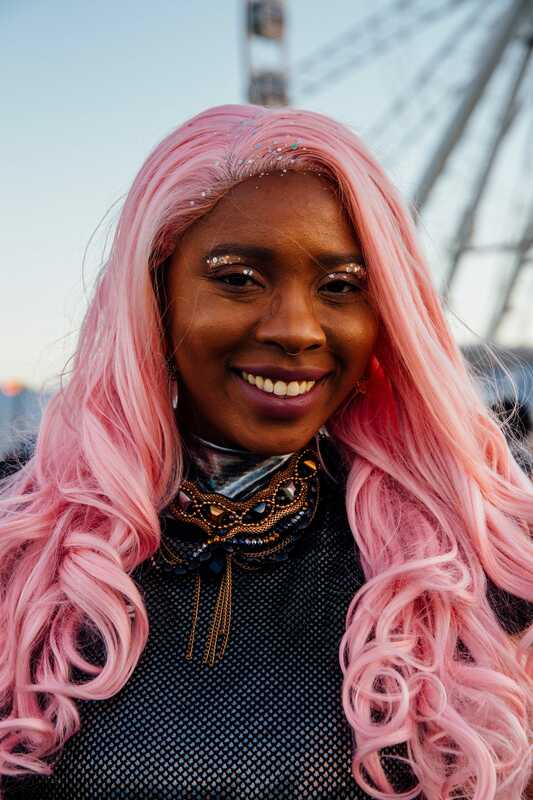 Before we flocked to see Cardi B and Selena Gomez belt out Taki Taki , we stopped to take photos of our favorite pastel hairstyles. 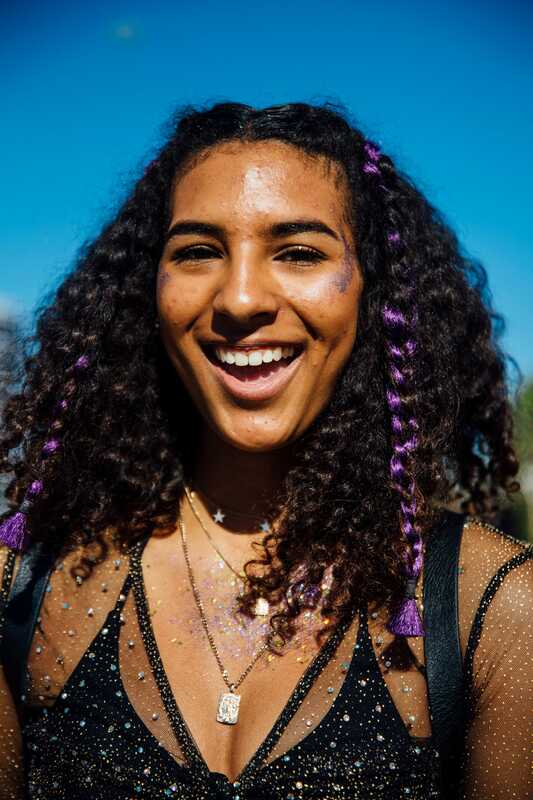 Check them out ahead. 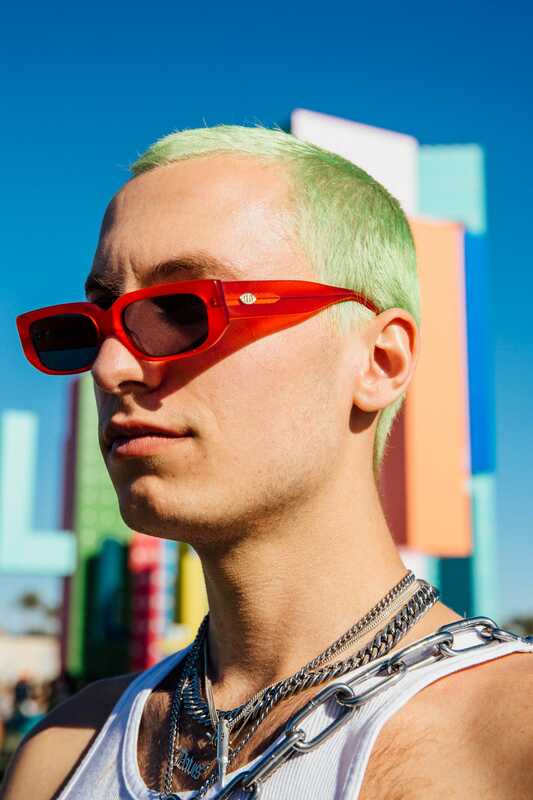 When you can't pick one favorite color — rock two. 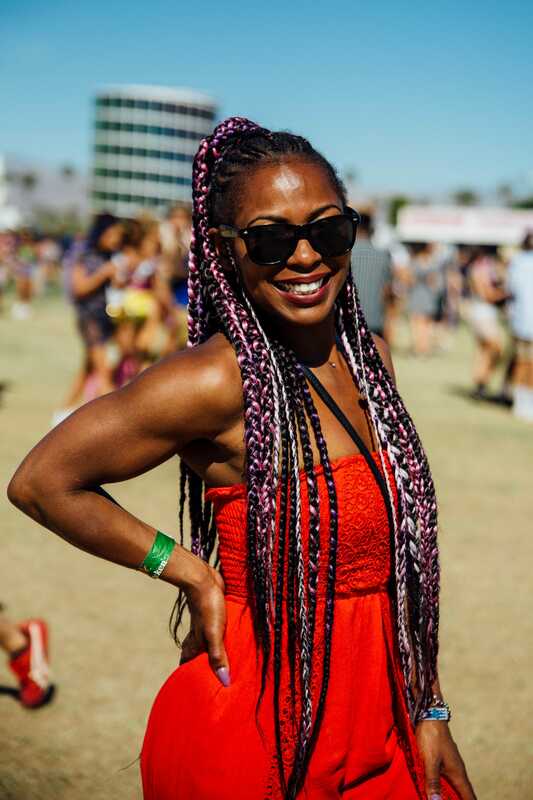 Turn up your protective style by feeding in multicolored braiding hair. 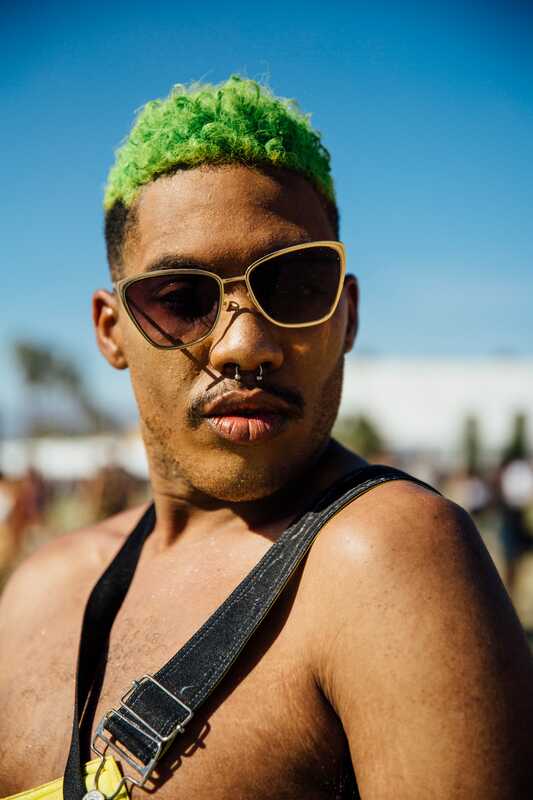 This tapered 'fro is already fantastic, but the vibrant pop of color caught our eye in the crowd. 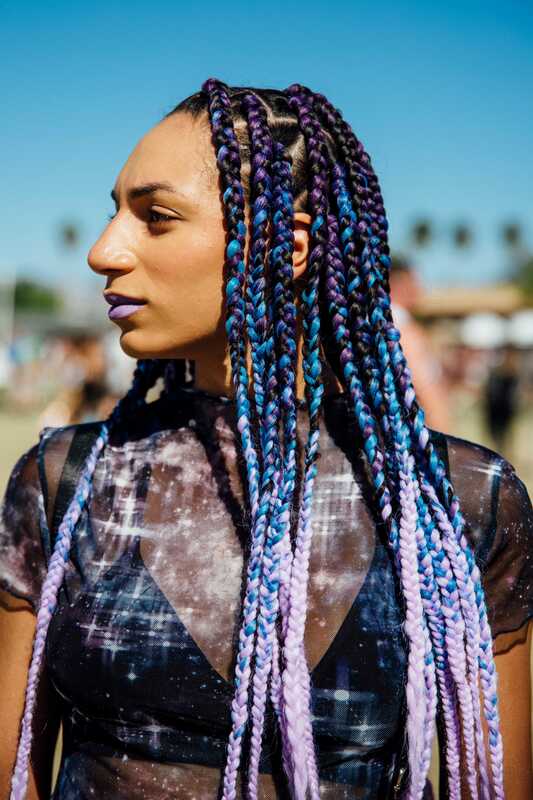 Popping hair color doesn't have to be all over your head. Subtle streaks get the job done, too. 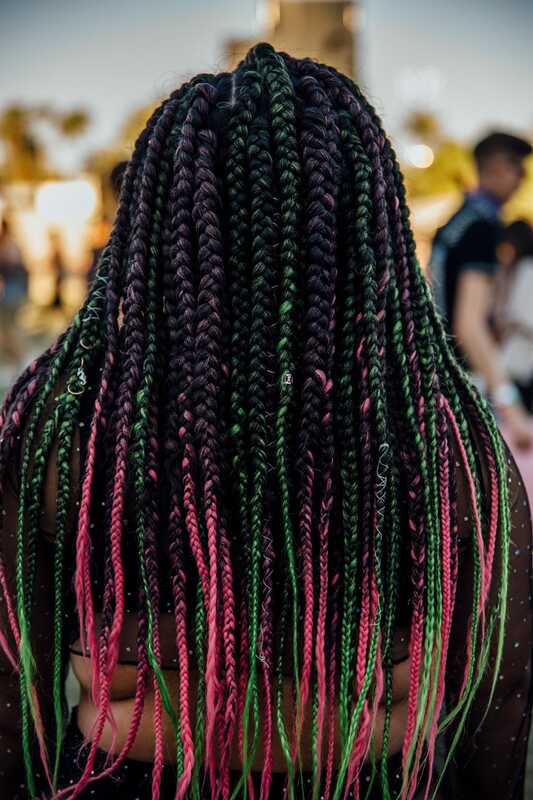 Pink and green, the festival's most popular hair colors, come together in these box braids. 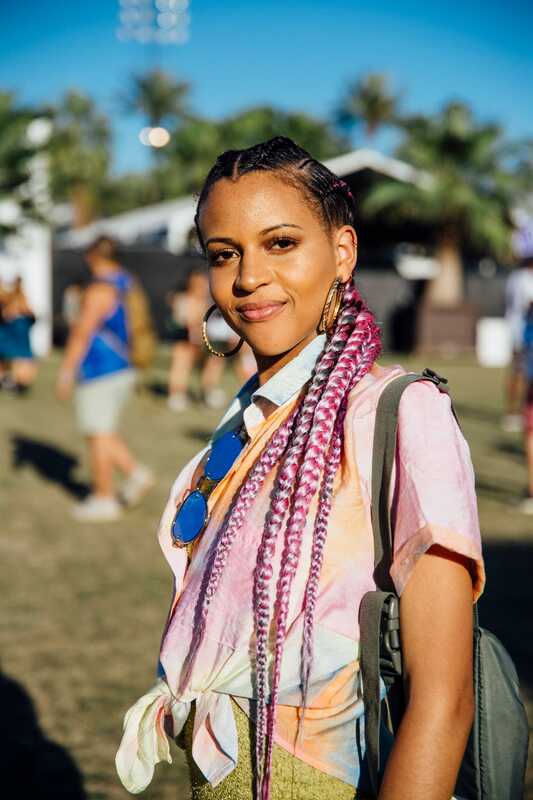 Leave your 1B ponytail at home and replace it with something more colorful for Coachella, like this lilac one.